On the 22nd November 2014 an X-Large Ship Maintenance Bay and a Ship Maintenance Array belonging to Galactic Skyfleet Empire was destroyed by six members of Thou shalt not kill, part of A Nest of Vipers alliance. The kills became a massive loot bonanza for those involved. 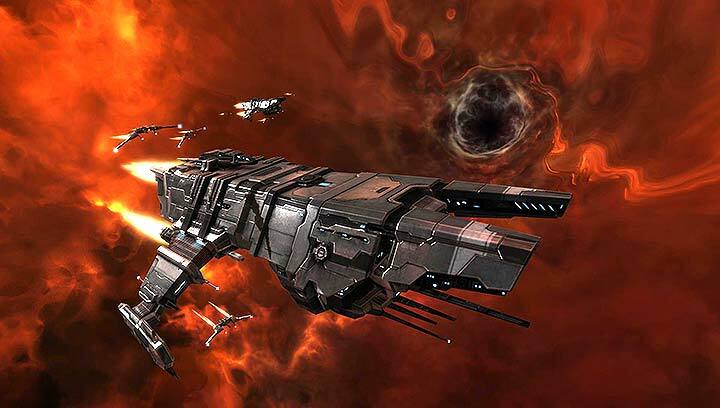 “Wandering across WH I have entered C2 WH with a single Impel in space, no POS’s, no fleet. OK, these do fly over but no wonder as this C2 has static to HS. I got the system probed, in the meantime checking D-scan and there appeared 4x Deep Space Transporters with no combat ships to cover them – same corp tag. Intel went to corp mates six WH’s away, the quickest one Fibrizo Kravitz in Interceptor responded and got tackle and killed the Impel. In the meantime I found C3 and C4, C3 had no activity and so quickly I jumped into the C4. As usual routine search for any activity and POS’s have shown no presence but on the very last planet there was POS with no Force Field on it despite of many shiny hangars (X-Large SMA, SMA, 2x Corporate Hangar). 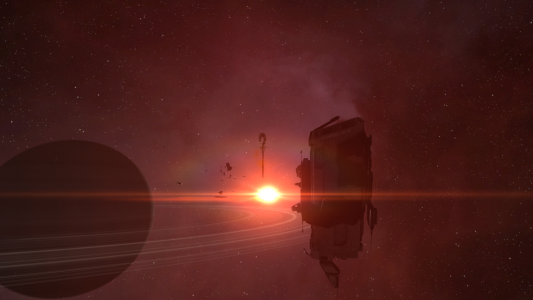 Warped in at 100km watching POS and providing intel to corp mates jumping through the chain in tackle and DPS fleet. Shortly afterwards there were 3x Deep Space Transporters dropping onto the POS standing doing absolutely nothing despite lack of FF, more than that one just logged off. Our Sabre dropped in and bubbled them together with rest of our fleet got tackle on transporters and just dropping Tengu, Astero. The Tengu escaped quickly, Astero and Occator got killed, last transporter got away by logging off. We secured entry WH’s expecting some resistance and unleashed fire havoc to hangars. There was a single brave pilot trying to fly to the POS, I suppose trying to activate FF on it but was unlucky having quick transport to his clone. 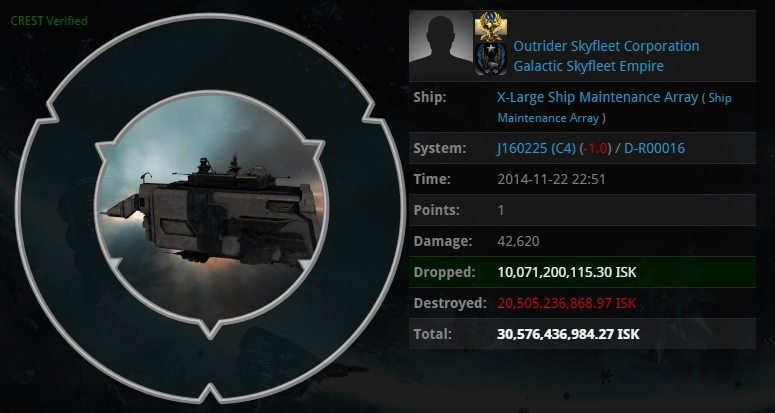 The amount of loot was just staggering and this included 2x Thanatos – these got auto-destruct due to Outrider Skyfleet Corporation not willing to buy them off. This whole looting would have not happened if basic safety rules were applied and followed. After Phoebe release with it’s NS relic and data sites to C1-3 many WH players got relaxed to occasional probes in the system, assuming (wrongly) that a single scanner ship pose no threat – these transporter pilots ignored this basic WH safety rule. Additionally it was found out that Transporter pilots were transporting fuel to the target POS so they must have had the knowledge of FF not being on. Keeping a POS fueled is something that takes a lot of time and some basic maths. 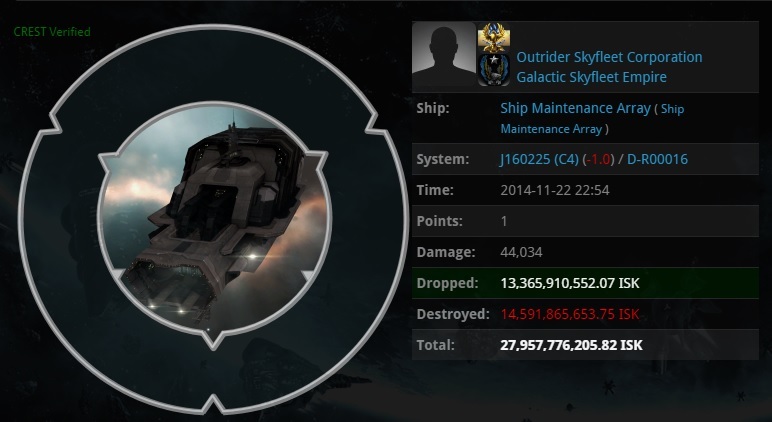 We are not sure how long the POS shield was down for and whether it was just a blip in the maths of the pilots responsible for fuelling it which resulted in the loss of almost 60 billion iSK of assets or whether some real life event got in they way of the POS being fuelled. However I am certain that whoever was responsible will be kicking themselves. Great timing on behalf of the Thou shalt not kill corp members but really bad luck to the owners of the tower. I have reached out to Outrider Skyfleet Corporation to hear their side of the story, so watch this space for any updates. Hi there exceptional website! Does running a blog like this require a large amount of work? Wow, superb weblog layout! How long have you been running a blog for? you make blogging look easy. The total glance of your web site is great, let alone the content material! I must express some thanks to this writer just for bailing me out of this dilemma. Right after surfing around through the world-wide-web and finding tricks which were not productive, I believed my entire life was over. Existing minus the strategies to the issues you have solved by means of the posting is a critical case, as well as those that could have in a wrong way affected my career if I hadn’t noticed your web page. Your personal talents and kindness in maneuvering a lot of stuff was valuable. I’m not sure what I would’ve done if I had not come upon such a thing like this. I can at this moment look ahead to my future. Thanks so much for the impressive and result oriented guide. I will not hesitate to refer your web page to anyone who needs to have counselling about this matter.